Flamingradio.com is home to Flaming 89, An internet only radio station based in the United States. We play "deeper cuts" classic rock, progressive rock & mix up some blues as well. The station presents the music in a varied, "free form" format. There are no rules here regarding how we play music. We do center it along the classic rock genre, but will play some Jazz, specifically Fusion. We also play some Blues of varied styles and Eras. We specifically feature a lot of Electric Blues. 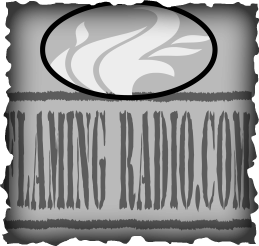 We here at Flaming Radio believe radio shouldn't be the same 10 Artists and the same 200 songs day after day, like most other classic rock radio. We know there are a few people out there that prefer this style of programming. More Variety & different musical styles in one station. Enjoy, and thanks for listening! YOU CAN HEAR US ON ALL OF THESE GREAT SITES!